Kamila Krzonkalla was born on 5 December 2003 in Warsaw. She started to learn the violin at the age of 8 at the Tadeusz Baird State Primary Music School in Grodzisk Mazowiecki. In the school-year 2015/2016 she was pupil of Ewa Kowar–Mikolajczyk PhD at the Emil Mlynarski Comprehensive Primary Music School in Warsaw. In the years 2016-2018 she attended the Karol Szymanowski Secondary Comprehensive Music School of the Complex of State Music Schools no. 4 in Warsaw, where she studied with Maciej Przestrzelski MA. 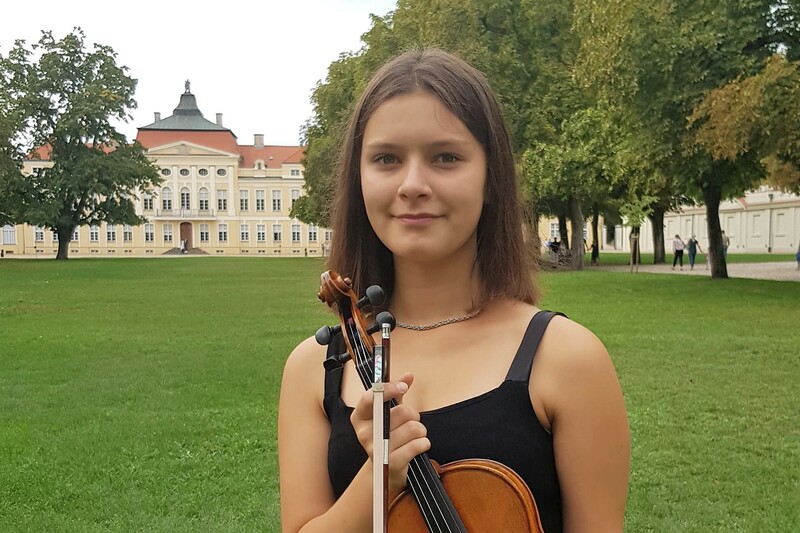 Since 2018 she has studied at the Jadwiga Kaliszewska Secondary Music School in Poznan with Prof. Marcin Baranowski and his assistant Maxima Sitarz PhD. She has also taken part in numerous master classes, where her professors were: Marcin Baranowski, Jan Romanowski, Janusz Wawrowski, Maria Orzechowska, Marek Szwarc, Wojciech Rodek, Monika Bachowska, Wojciech Plawner, Gotthard Popp, George Michel, Simon Cartledge, Koosje van Haeringen. In the years 2015 and 2016 she was member of the 2nd Luslawice Talents Orchestra.